Hello there! My name is John. Jeff has kindly invited me to begin publishing some of my articles on his site. If you're not already aware, this article was originally published on mybrainongames.com. It's a fantastic site and I highly recommend it. Not simply because I'm the purveyor of it... Well, actually that's exactly why. Anyways, please enjoy this article discussing Pokemon Emerald for the Game Boy Advance in light detail. If you have any questions or comments, leave one on this post or reach out to me directly via my blog. Thank you! This wasn't the first, nor the last, of the Pokemon games to feature a reflective box. Classically, the mainline Pokémon games come in threes. The first two launch together while the third, usually an enhanced amalgamation of the previous two, releases about a year later. 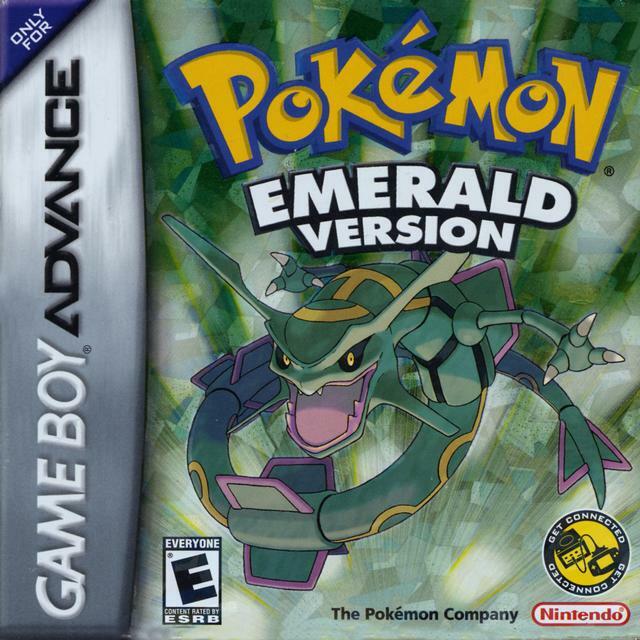 Pokémon Emerald is the enhanced remake of Pokémon Ruby and Sapphire – the first two Pokémon games on the Game Boy Advance. I adored Ruby when it released in my freshman year of high school. I clocked well over 200 hours with it before moving on. After retiring LeafGreen andColosseum, I was interested in starting Emerald and returning to Hoenn as it had been ten years since I last saw it. Double Battles were introduce with this generation. Returning to Hoenn brought back many memories. As I crisscrossed the expansive island, I remembered specific towns, routes, and completing specific objectives. Not everything was familiar though. I couldn’t remember some of the smaller story beats. The series is host to light and airy narratives though, so this wasn’t a surprise. 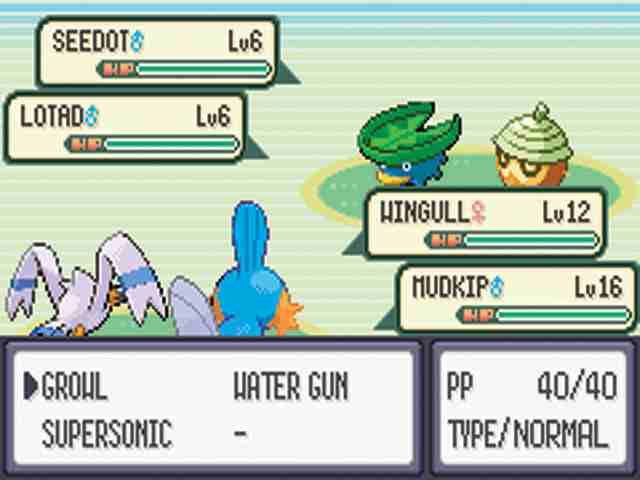 Whereas players were confronted with Team Aqua or Team Magma in Ruby and Sapphire, players had to contend with both in Emerald. These groups aren’t necessarily evil like Team Rocket, but their goals of enacting massive changes to Hoenn’s ecosystem were potentially world ending. The Battle Frontier was heavily marketed as the defining feature of Emerald when it released back in the middle of 2005. Personally, the battle facilities that have been introduced in the series haven’t appealed to me too much. This one hasn’t stolen too much of my time either. I appreciate being able to win harder to find evolutionary items and spotlighting the various battle styles is fantastic, but I’ve never put too much time into these. I’m more of a breeder than a fighter. The Battle Frontier is massive though and there is plenty there to entertain diehard fighters. Really, those are the major differences between Ruby and Sapphireand Emerald. 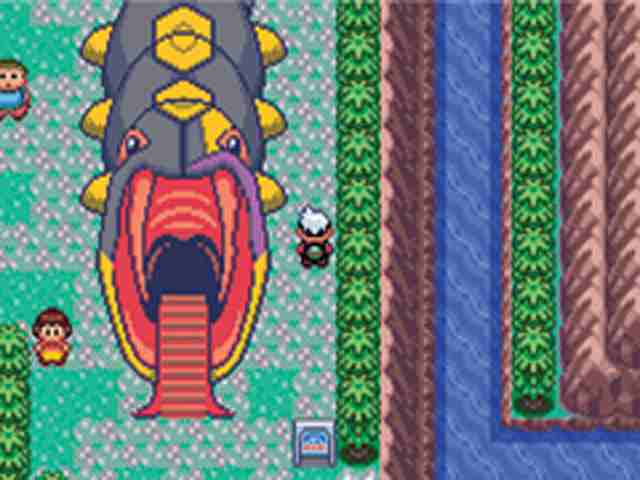 Perhaps the most notable of the minor alterations was Game Freak’s adjustments of wild Pokémon locations and the ability to capture both Groudon and Kyogre. Oh, and the Pokémon battles featured minor amounts of animation, like Crystal did prior. This generation was host to many new additions. Prime among them were double battles, contests, weather, the ability to dive, and many, many other novelties and mechanics. This awesome building was one of the attractions at the Battle Frontier. Pokémon Emerald is the first enhanced remake in the series that I’ve completed (discounting LeafGreen and HeartGold, I guess). All in all, the additions and alterations make this the most feature packed between Ruby, Sapphire, and it, but it doesn’t make those games obsolete. I would find it grueling to play this immediately after playing one of those, so if you’re attempting a series playthrough as I am, pick one. The major changes may seem minor, but a comprehensive changelog of all changes would be immense. An older Pokémon game like this isn’t for everybody though, so only Pokémaniacs need apply. I fit the bill too! It’d been forever since I journeyed across Hoenn and it was a pleasant return.